You may remember back in the ‘70s a familiar green VW sedan by the name of Bad Company. It was built and driven by Roger Crawford who ran a race shop called Crawford Engineering in Newport Beach, CA. It was one of the best known race-cars of the Bug-In era running low 12s at over 110 mph. 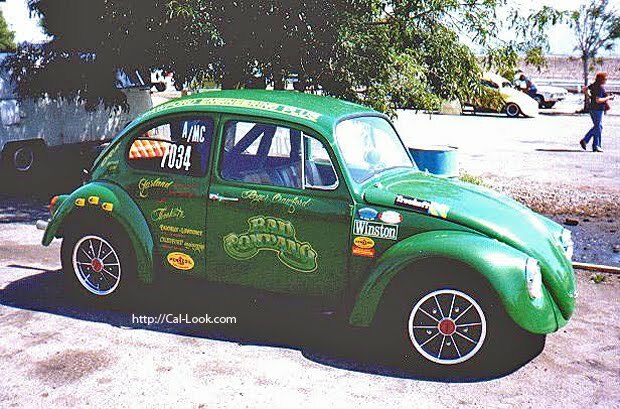 In the 90s, Roger built a beautiful 135 mph Pro-Stock Bug that ran in the 9’s. It was not only fast, but sported a beautiful attention grabbing paint scheme worthy of a show car. 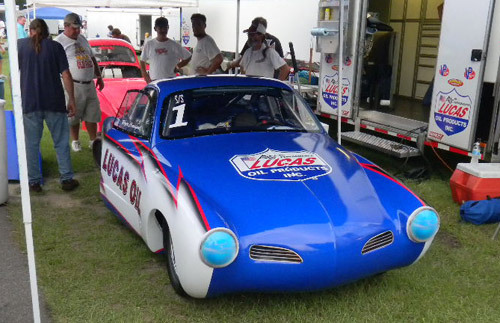 Most recently, Roger has been campaigning a 1959 Karmann Ghia with Lucas Oil colors. It has been a successful ride for Roger winning the PRA Super Street Championship in 2007, 2008 and 2009 as well as the 2009 Outlaw Championship. This little video shows the Ghia in action. The Ghia was also the first PRA-SS VW to break into the 9s with a 9.99 s, 132.58mph run. He also garnered the title of Fastest Super Street Car with a 9.90 sec, 138.02 mph blast. Roger builds some of the finest race engines in the world and runs a state of the art shop in Fullerton named Heads-Up Performance. 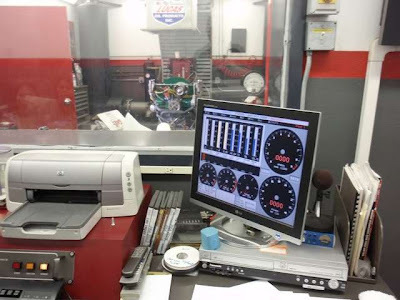 His shop has a well equipped DTS engine dynamometer and Roger meticulously tests his engine to ensure the best performance and reliability for his engines. Roger has worked with Burns Stainless LLC for many years. One of his secrets is the BTEC adjustable merge collector which allows him to test countless exhaust combinations allowing him the ability to tune the exhaust optimally for his latest engine combination. Roger also enjoys playing with American iron and can often be seen at Hot Rod shows in one of his Chevys.